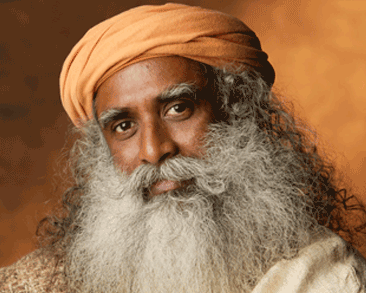 Yogi, mystic and visionary, Sadhguru is a spiritual master with a difference. An arresting blend of profundity and pragmatism, his life and work serve as a reminder that yoga is not an esoteric discipline from an outdated past, but a contemporary science, vitally relevant to our times. Probing, passionate and provocative, insightful, logical and unfailingly witty, Sadhguru's talks have earned him the reputation of a speaker and opinion-maker of international renown. With a celebratory engagement with life on all levels, Sadhguru's areas of active involvement encompass fields as diverse as architecture and visual design, poetry and painting, ecology and horticulture, music and sports. Sadhguru is also the founder of Isha Foundation, a non-profit organisation which has been dedicated to the wellbeing of the individual and the world for the past three decades. Isha Foundation does not promote any particular ideology, religion, or race, but transmits inner sciences of universal appeal.